The definitive aim of catechesis is to put people not only in touch but in communion, in intimacy, with Jesus Christ” (CT, no. 5). These ends are evident in this framework—designed to guide catechetical instruction for young people of high-school age wherever and however it takes place: in Catholic high schools, in parish religious education programs, with young people schooled at home, or within the context of the catechetical instruction which should be part of every youth ministry program. The Christological centrality of this framework is designed to form the content of instruction as well as to be a vehicle for growth in one’s relationship with the Lord so that each may come to know him and live according to the truth He has given to us. In this way, disciples not only participate more deeply in the life of the Church but are also better able to reach eternal life with God in Heaven. The purpose of this course is to help students understand that they can encounter Christ today in a full and real way in and through the Sacraments, and especially through the Eucharist. Students will examine each of the Sacraments in detail so as to learn how they may encounter Christ throughout life. Honors Level courses are distinguished from Accelerated Level by increased emphasis and expectation in essay and research writing, work with and interpretation of primary sources and the use of document-based-questions for more in depth and nuanced study of the period in question. The purpose of this course is to give an overview of Sacred Scripture with an introduction to the basic principles for understanding and interpreting the Bible. Because of the extent of the scriptural material, this outline will not try to cover the vast content but rather offer comments about Scripture’s purpose and religious significance. Given the limits of a semester of study, it will not be possible to introduce all the books of the Bible here. But every effort is made to project a sense of the unity of the narrative for the divine plan of salvation, the presence of God’s action in this record of his Revelation, and his desire to share his merciful love with us. The purpose of this course is to give an overview of Sacred Scripture with an introduction to the basic principles for understanding and interpreting the Bible. Because of the extent of the scriptural material, this outline will not try to cover the vast content but rather offer comments about Scripture’s purpose and religious significance. Given the limits of a semester of study, it will not be possible to introduce all the books of the Bible here. But every effort is made to project a sense of the unity of the narrative for the divine plan of salvation, the presence of God’s action in this record of his Revelation, and his desire to share his merciful love with us. Honors Level courses are distinguished from Accelerated Level by increased emphasis and expectation in essay and research writing, work with and interpretation of primary sources and the use of document-based-questions for more in depth and nuanced study of the period in question. The purpose of this course is to help students understand that it is only through Christ that they can fully live out God’s plans for their lives. Students look at the different components of making a moral decision. Students are to learn the moral concepts and precepts that govern the lives of Christ’s disciples, specifically the Ten Commandments and the Beatitudes. The purpose of this course is to help students to understand the vocations of life: how Christ calls us to live. In this course, students will learn how all vocations are similar and how they differ. The course is structured around married life, single life, priestly life, and consecrated life. Students will learn what it means to live life for the benefit of others and the value in considering a vocation in service to the Christian community. The purpose of this course is to help the students understand and recognize the value and dignity of the human person. The course first looks at the gift of life and focuses on an integral humanism. After studying current threats to human dignity and the solutions offered by Christ and His Church, the course concludes by applying the principles of the Church’s Social Doctrine to specific bioethical questions. The Science Department is committed to helping students develop a life-long interest in science through a standards-based curriculum that includes investigation and experimentation. Another goal of the department is that students will become proficient readers of science texts, able to interpret and apply course concepts to current scientific issues and studies in which students apply and develop an understanding of how science impacts their daily lives. This course will provide the student with a comprehensive study of the structure and function of the major systems of the human body as well as an introduction to the terminology necessary for a thorough understanding of each system. Laboratory session will include major dissections and physiology experiments. This course is strongly recommended for students interested in pursuing a career in the health field. This college level course is designed to provide students with awareness and increased understanding of complex biochemical and biological principles. Three general areas are studied in detail: Molecules and Cells; Heredity and Evolution; and Organisms and Populations. Laboratory exercises are a demanding aspect of this course. The course prepares students to take the Advanced Placement exam in Biology. Prerequisite: 90 or above average. 89 or below requires Teacher or Guidance Counselor Recommendation. A student cannot drop without a consultation with the Principal who will consider extenuating circumstances. All STUDENTS TAKING THIS COURSE WILL TAKE THE A.P. EXAM. This course is designed to be the equivalent of the general chemistry course taken during the first year of college. Students who take the AP Chemistry course will develop a deep understanding of the concepts within the six big ideas through the application of the science practices in the required laboratory component of the course. Students will gain an in-depth understanding of the fundamentals of chemical and mathematical problem solving. A large portion of the course will involve laboratory activities that would be comparable to a college level laboratory experience. Students must complete a minimum of 16, hands-on lab investigations to support the learning objectives in the curriculum framework. At least six of the lab investigations must be guided inquiry-based labs. The result will be readiness for the study of advanced topics in subsequent college courses. Prerequisite: 90 or above average and requires Teacher or Guidance Counselor Recommendation A student cannot drop without a consultation with the Principal who will consider extenuating circumstances. This accelerated level course includes a phylogenetic study of the various forms of life from the unicellular level to multicellular level, the manner in which organisms interact, their evolutionary nature, the life processes common to all living organisms and the basic principles of genetics and heredity. Fundamental aspects of scientific inquiry are encouraged both in class discussions and related laboratory investigations. Biology (National Edition) by Kenneth R. Miller, Ph.D. Joseph S. Levine, Ph.D. This course involves an exploration of biological principles. Topics of study include the cell, simple biochemistry, genetics, evolution and the life processes common to all living things. It is designed for students who may have difficulty with reading skills and comprehension. Laboratory sessions and hands-on activities and projects are coordinated with the topics that are covered. This honors level course that involves a phylogenetic study of life from the unicellular level to the multicellular level, the manner in which living organisms interact, their evolutionary nature, the life processes common to all living things and the basic principles of genetics and heredity. Laboratory procedures and techniques will accompany topics discussed in classroom. Recommended for the student with a strong aptitude for science or who plans to pursue a science-related career. Related field trips provide the student with access to techniques used in modern biotechnology laboratories. Student selection based upon high school placement test. Campbell Essential Biology with Physiology, Fourth edition, Eric Simon and Jane Reece. This course is meant to supply sufficient diversity to meet the needs of the students who are interested in Chemistry-related technological careers. This course will include an introduction to scientific measurement and calculations, concepts, principles and chemical reactions. The course will include both the theoretical and the mathematical approaches to Chemistry, including laboratory procedures and techniques. This course involves the exploration of chemical principles on a basic level. The course will include an introduction to scientific measurement and calculations, concepts and chemical reactions. Laboratory exercises will correlate to classroom discussions. This course is meant to provide an in-depth introduction to the field of Chemistry. This course will include an introduction to scientific measurement and calculations, concepts, principles and chemical reactions. Laboratory sessions will be held. These will include an introduction to laboratory procedures and techniques through quantitative experimentation. This course is designed to introduce students to a variety of topics related to forensics. Topics to be studied in this course will include crime scene investigation, collection and preservation of evidence, fingerprinting, blood typing, DNA identification, fire scene analysis, eye witness identification, composite sketches, hand writing analysis, drug identification, post mortem examination, toxicology, criminal behavior, psychopathology, law enforcement, corrections, criminal law, court proceedings, and legal considerations at a crime scene. Students will be introduced to representative areas of forensics including technology for evaluating evidence, criminology, legal proceedings, and case law through laboratory experiments and various readings. The course will incorporate the use of contemporary research articles, case studies, criminal law, chemistry, biology, physics and environmental sciences. Students will develop an understanding and appreciation for the scientific method and need for careful scientific analysis. 2 Books - can be purchased on Amazon - either hard cover or electronic versions available. Ever tried to design something new or draw up an idea you wanted to share with your friends and wondered how you could communicate your idea? Or, have you wondered how someone designed that new MP3 player or sleek new phone? The Introduction to Engineering Design is the course for you. The major focus of the course is learning how to take an idea through a design process that will eventually be manufactured or produced. As you learn about various aspects of engineering and engineering design, such as how engineers communicate through drawing, you will apply what you learn through various activities, projects, and problems. For example, after learning about the different techniques engineers use in determining how to design a product, you and your teacher will have the flexibility to explore the design and engineering processes to solve problems that are of interest to you. The course covers the following: introduction to the engineering design process (the role of an engineer, the design process); introduction to technical sketching and drawing and measurement; product design; product analysis and improvement; puzzle cube design challenge design process; modeling; sketching; presentation design and delivery; engineering drawing standards and CAD drawings. In addition, you will use Inventor, which is a state of the art 3-D design software package from Auto Desk, to help you design solutions to different design projects. Working in teams, you will learn about documenting your solutions, solving problems, and communicating your solutions to other students and members of the professional community of engineering and engineering design. Introduction to Engineering Design is intended to serve as a foundation course within the Project Lead The Way® course sequence. All of the topics learned in this course will be used in future courses. This course is required of all freshmen. Introduction to Engineering Design II is an introductory engineering course, which develops student problem solving skills, with emphasis placed upon the concept of developing a 3-D model rendering of an object. Students focus on the application of visualization processes and tools provided by modern state of the art computer hardware and software. This computer-based process replaces the traditional hand-drawing methods. The course will emphasize the design development process of a product and how a model of that product is produced, analyzed and evaluated, using a Computer-Aided Design system (CAD). Various design applications will be explored with discussion of possible career opportunities. Students are introduced to the fundamentals of engineering design and drafting through AutoCAD Inventor, a 3-D solid modeling software package. Topics include problem-solving techniques, documentation, working drawings, prototyping, and manufacturing considerations. The topic list for this course of study includes geometric shapes and solids (measurement, statistics and applied geometry); dimensions and tolerances; advanced modeling skills and advanced designs; reverse engineering: visual analysis, functional analysis and structural analysis; product improvement by design marketing; graphic design; engineering ethics; engineering design ethics; virtual design teams. Completion of Introduction to Engineering I required. Marine Biology is the study of life in the oceans and other saltwater environments such as wetlands and estuaries. This course applies some of the principles taught in the Biology and Earth Sciences courses to the marine environments; the living realm of the oceans. All plant and animal life forms are included from the microscopic phytoplankton all the way to the majestic blue whale. Specific consideration is given to ecological processes and adaptations. Emphasis is placed on the New England area. Labs include field trips as well hands on activities. This course is meant to supply sufficient diversity to meet the needs of the students who are interested in science related careers, which may require some background in Physics. This course will provide an introduction to the principles of classical and modern physics, Newtonian and basic quantum mechanics, light and optics. This will be accomplished through classroom discussion and laboratory exercises. This course will give students the opportunity to develop and build knowledge and skill sets that are in accordance with successfully solving scientific inquiries in today’s society. A thorough review of essential math skills such as scientific notation, precision in measurement (significant figures), graphing, and equation manipulation will be undertaken. The students will then employ their math skills to solve Physics problems that require a conceptual understanding as well as the ability to model the concept mathematically. Course topics will include but not be limited to displacement, velocity, acceleration, vectors, forces, trajectory, circular motion, momentum, work & energy, thermal energy, fluids, and electricity. Students enrolled in CP Physics will investigate conceptual ideas, physical phenomena, and the theoretical models that are useful in understanding and evaluating the interacting systems of the physical world. Students will explore the unifying themes of physics and develop an appreciation for the way subsequent topics are built upon a thorough understanding of the fundamental concepts. The applications of physics to astronomy, space science, electronics, and everyday life etc. will be thoroughly explored from a conceptual perspective. This course is meant to provide an in-depth study of the principles of classical and modern Physics, Newtonian and basic quantum mechanics, light and optics. This course is highly recommended for students with a strong aptitude of science and mathematics. It will provide a sufficient foundation for students interested in careers in science and/or engineering. The English curriculum is based on the communication skills of reading, writing, speaking, and listening. In addition, viewing and presentation skills are emphasized. All of the courses focus on the areas of reading and literature, language study, listening and speaking, and composition and research. Preparation for college level reading, writing, and research are important goals of the department. This course is designed for the college bound junior who demonstrates proficient reading, writing and communication skills. The course focuses on themes in American Literature and examines the major authors, periods and genres in American Literature and the impact of the literature on the culture, history and growth of the American civilization. The development of language arts and skills is achieved through reading, writing, vocabulary, grammar, SAT preparation, critical thinking, oral communication, and collaboration. Clear, concise and effective oral and written communication is stressed. Research and analytical skills will be studied and applied with the completion of a comparative literary analysis paper. Grammar Book to be purchased in school. This course is designed for the college bound student, and continues to develop a mastery of reading, writing and communication skills necessary for college success. Themes in American literature will be explored with an introduction to major authors, periods and genres. Students develop language skills through reading, writing, vocabulary, grammar, SAT preparation, critical thinking, oral communication, and collaboration. Oral and written communications are stressed. Research and analytical skills will be studied and applied with the completion of a comparative literary analysis paper. Designed for the advanced junior who demonstrates an ability to read, write and communicate on a mature level, this course surveys American Literature from an historical perspective. The study of American Literature encompasses the periods extending from early Native American through contemporary American authors who employ various literary genres. Students examine the impact of the literature on the culture, history and growth of the American civilization. Skills focus on reading, writing, vocabulary, grammar, SAT preparation, critical thinking, oral communication, and collaboration. Research and analytical skills will be studied and applied with the completion of a comparative literary analysis paper. The student will be challenged to become a better reader, writer and thinker. Prerequisite: Honors English II or a 90 or above in Accelerated English II. This college level course is designed to help students learn to identify rhetoric (persuasion) in as many forms as possible. Included forms are not limited to political articles, nonfiction readings from current magazines, novels, essays, et al. Three pre-course summer papers are required, and timed writing in class is done often. A student cannot drop without a consultation with the Principal who will consider extenuating circumstances. All STUDENTS TAKING THIS COURSE WILL TAKE THE A.P. EXAM. This college level course is designed to help seniors recognize and consider some of the BIG questions and subjects that have concerned writers for several millennia. Many of these questions and subjects will serve as topics for timed essays written in class. There are three summer pre-course essays required. Students will also learn how to distinguish analyses from mere descriptions. All students in the course are required to take the AP exam in the spring. This course is designed for the college bound senior who has exhibited a special proficiency in reading and writing. Important works of British and World literature are examined in close detail with an emphasis on literary analysis and analytical writing. All aspects of the college admissions process are covered. The second semester involves emphasis on the types of writing and research skills required of a college student. This course is designed for the college bound senior. Important authors, themes, and genres are studied in chronological order. The college admissions’ process is an integral component of the first semester course of studies. SAT and ACT preparation, student resumes and the college application essay are all covered in depth. There is a heavy emphasis on writing expository and persuasive essays during the second semester. Research skills are reviewed and the process of writing an 8-10 page research paper is explained in detail. Students are required to complete to write a research paper during the fourth quarter. Outside reading is required in the form of novels and non-fiction books. Oral reports are required in addition to many collaborative presentations. This course is designed to prepare students for the rigors of academic life in higher education. This course is designed to challenge the advanced college bound senior who demonstrates a great proficiency in the English Language Arts. The works of important writers in British and World literature are covered extensively with emphasis on literary analysis and interpretation. The college admission’s process is also an integral part of this course. The college application essay is explored in detail. There is a heavy concentration placed on formulating expository and persuasive essays, culminating with the writing of a 10-12 page persuasive research paper. The course’s goal is to prepare students for the rigors of college reading and writing. Prerequisite: Honors English III or a 90 or above in Accelerated English III. This is a one semester mandatory course for all juniors. The course is a collaborative effort of both the English and Math departments, and the guidance department. Points of emphasis include extensive preparation for both the sat and act test, creating a high school resume, and writing the college application essay. The guidance department will have the opportunity to explain in detail the College application process. The goal of this course is introduce all juniors to the college admissions process prior to entering senior year. This course will be linked with the College Bound/SAT Math Prep and both classes are taken together. This year long workshop course will be a study in the techniques and methods of creative writing, with an emphasis on the development of prose and poetry. Students are required to write in a variety of genres and to demonstrate a capability for giving and receiving constructive criticism. Students will demonstrate a better understanding of the revision and rewriting process through mastery of editing skills, including peer-editing. Students will be required to present their prose and poetry in class and a mandatory final portfolio will be due at the end of the course. This course is designed to guide the advanced writing student through the process of creative writing. Through a variety of assignments, students will explore methods of inspiration and the discipline of writing. The main focus of this course will be writing, re-writing, editing and peer review. Students will be introduced to all aspects of creative writing including point of view, creating believable characters, setting a scene, character dialogue, creating conflict, and descriptive writing. Students will be introduced to writing creative fiction and nonfiction in a variety of genres: short story, essay, novel, children’s literature, poetry, drama, and screenplay. This elective course is designed to introduce students to the elements of cinematic art through the analysis of key films. Students will critically view film as a literary work with respect to authorship, setting, character, plot, theme, conflicts, symbolism, and cultural significance. Students will participate in listening and speaking activities including class discussions, informal and formal responses, formal presentations and projects. The written component of the course will consist of informal personal responses, film reviews, and formal analytical essays and tests. This course is designed to guide students in the development of their reading and writing skills, vocabulary, and grammar. The reading material is diverse and includes short stories, novels, plays, essays, and poems. The selection of texts, while subject to change, may include To Kill a Mockingbird, Romeo and Juliet, and A Raisin in the Sun. Vocabulary is strengthened with comprehensive exercises and practice with recognition of context clues. Special attention is given to writing the five-paragraph essay and citing textual evidence. This course is designed to develop reading and writing skills, vocabulary, and grammar with more individualized guidance. The reading material is diverse and includes short stories, novels, plays, essays, and poems. The selection of texts, while subject to change, may include To Kill a Mockingbird, Romeo and Juliet, and A Raisin in the Sun. Students learn to make inferences from their reading and write organized five-paragraph essays with additional time given for proofreading, editing, and rewriting essays. Vocabulary and grammar are strengthened with intensive practice. This course is designed to challenge the academically advanced student. The reading material is diverse and includes short stories, novels, plays, essays, and poems. The selection of texts, while subject to change, may include To Kill a Mockingbird, Romeo and Juliet, and A Raisin in the Sun. The focus of the course is developing high-level reading, writing, and critical thinking skills for the rest of high school and beyond through an in-depth study of literature, grammar, and vocabulary. Special attention is given to the five-paragraph formal essay. The quality of analysis, discussion, and writing is expected to be particularly thoughtful and sophisticated, and the rate at which material is covered is relatively fast. Prerequisite: Based on HSPT placement testing. This course will further develop and refine the college bound student’s reading comprehension, analytical, writing and communication skills through reading, vocabulary, research and writing assignments and exercises. Literature includes, but is not limited to, a survey of the short story, poetry, modern and Shakespearean drama, novels and non-fiction. Outside reading is required and students use this reading as a basis for developing oral communication. A concentration of expository, descriptive and creative writing is incorporated throughout the course. This course will continue to develop the college bound student’s reading comprehension, analytical and writing skills through reading, vocabulary, research and writing assignments and exercises. Literature includes, but is not limited to, short stories, modern and Shakespearean drama, novels and non-fiction related social issues and studies. A concentration of expository, descriptive and creative writing is incorporated throughout the course. This course is designed to challenge the academically advanced student. The course will further develop and refine the student’s reading comprehension, analytical and writing skills through reading, vocabulary, writing and research skills. This course serves as a foundation for subsequent, more advanced English classes. Literature includes a survey of the short story, modern and Shakespearean drama, poetry, novels, and non-fiction. Outside reading is required and students use this reading as a basis for developing oral communication. Emphasis is placed on reading, literary analysis, oral communication and expository, descriptive, and creative writing. Prerequisite: Honors English I or a 90 or above in Accelerated English I. This course is designed to give students an overview of contemporary journalism. Students will study media laws and ethics, and develop basic journalistic skills in writing, editing and photography. Journalism students will learn a variety of journalistic writing approaches including news reporting, feature articles, sports writing, opinion/editorial and entertainment. The class will learn interview techniques, methods and reporting. The class will utilize appropriate technology to create publications and work on independent and group projects throughout the year. They will aim to produce print-worthy publications. This half-year course will serve as an introduction to public speaking, terminology, basic skills and techniques for making oral presentations and speeches. Students will develop the skills of articulation, relevant argument, poise and presence through repeated experience in practice, performance, and measured self-confidence. Students will study various types of speeches (informative, persuasive, dramatic, and special occasion), read and listen to speeches, and prepare and present their own speeches. This course is activity-based and students will learn to choose speaking topics and adapt them for specific audiences, to research and support their ideas, and benefit from listener feedback, all while having frequent opportunities to speak in a public forum. The Math offerings at St. Mary's are a comprehensive college preparatory curriculum. Students will reach his/her full potential through four full years of required courses. Our courses encourage students to apply their knowledge through rich real world topics in Business, Science and Technology. This course guides the student in discovering mathematical principles and furnishes them with exercise material to strengthen their comprehension. The following units are covered: basic terms, operations with real numbers, solving equations and inequalities, polynomials, factoring, algebraic fractions, simultaneous equations and problem solving. This course, although containing the same content as Algebra I-ACC, has different formative assessments including projects and many more hands-on work in the classroom. The following units are covered: basic terms, operations with real numbers, solving equations and inequalities, polynomials, factoring, algebraic fractions, simultaneous equations and problem solving. This course is designed for the student who has facility for mathematics. As the student pursues this course, they will work on the following units: real number system, properties and operations, equations and inequalities, polynomials, functions and variations, quadratic equations and problem solving. Placement based upon HSPT and St. Mary's placement test and 8th grade teacher’s recommendation. This course is designed for the college bound student who has a good ability in math. It includes a review of Algebra I. New topics include: Quadratics and their inequalities, the complex number system, polynomial and exponential equations and finally logs. Recommended: successful completion of Geometry ACC and Algebra I ACC. This course although containing the same content as Algebra II ACC, has different formative assessments including projects and many more hands-on work in the classroom. This course includes a thorough review of Algebra I. New topics include: quadratic functions and its formula, quadratic inequalities, polynomial and exponential functions and their applications. This course is designed for the high ability math student. The topics will include a comprehensive review of Algebra I. New topics include: Quadratics and their inequalities, the complex number system, polynomial and exponential equations and finally logs. This course includes methods of finding and applying the derivative and integral as a limit. Students will study: Calculus of polynomials, trigonometric, exponential, logarithmic and inverse functions. There will be applications involving: analytic geometry, science, business and economics. Prerequisites: 90 or above in Honors Pre-calculus and Teacher or Guidance recommendation. After a full review of all Pre-calculus topics, the student will study the connections among functions as well as the concepts of the derivative, integral, the limit and the antiderivative of many functions including the trigonometric functions. This course will be linked to the College Readiness/SAT Writing Prep Course. Both classes are taken together. This course is designed to help the student to understand the nature of a mathematical system and to appreciate the basic structure of Geometry. Time will be spent on both inductive and deductive reasoning. Efforts to show how Algebra and Geometry complement each other will be made. This course, although containing the same content as Geometry ACC, has different formative assessments including projects and many more hands-on work in the classroom. Areas of study include: angles, parallel lines, congruent and similar triangles, polygons, circles and their arcs and the Pythagorean Theorem. Special topics include coordinate and spatial geometry and an introduction to right triangular trigonometry. This course is designed for the student who has shown a high ability level in math and may wish to pursue math or science on the college level. It contains a sophisticated approach to the mathematical structure of geometry with an emphasis placed on deductive reasoning. This course is for the college-bound student who will profit from and understanding of the limit of functions, a topic discussed in Calculus. Topics include: evaluation and graphing functions of many forms including quadratic, polynomial, rational, exponential, logarithmic, and trigonometric. The course ends with conic sections their graphs and their applications. This course is for the college-bound student who will profit from and understanding of the limit of functions, a topic discussed in Calculus in college or senior year. Topics include: evaluation and graphing functions of many forms including quadratic, polynomial, rational, exponential, logarithmic, and trigonometric. The course ends with conic sections their graphs and their applications. This course is an introduction level course into the world of statistics. The course consists of the following topics: variations, data collection, organization and analysis of data. There will graphic display for data concepts and a study of underlying influences and an aid for developing skills in problem solving. Examples and experiences are based on realistic data drawn from a variety of disciplines. A graphing calculator is essential. This course is for the college-bound student who will benefit from a higher understanding of collecting, organizing, and interpreting statistical data. There will be a graphic display for data concepts of underlying influences and an aid for developing skills in problem solving. Examples and experiences are based on realistic data from a wide variety of disciplines. A graphing calculator is required for all students who take this course. Juniors may take this course as an elective course only. This course will address the needs of those students who will be taking the SAT and will continue their study of mathematics in future courses such as Precalculus in their senior year or in college. New Topics include: right triangular trigonometry as well and non-right triangular formulas, Law of Sine and Cosines, graphs of all six trigonometric functions with changes of period, amplitude, vertical and horizontal phase shifts. The Social Studies Department provides an integrated curriculum ranging from grades 6-11 supplemented with a diverse selection of elective courses. While teaching students about our past and present, the mission of the Social Studies Department is to provide an enriching experience designed to challenge all students to attain their highest level of academic progress, provide students with the essential background knowledge needed to understand the complex issues we face in an increasingly globalized world and ensure that our students possess skills in areas essential to their further success including: research, persuasive writing and use of evidence and analysis skills such as comparison and contextualization. U.S. Government and Politics is designed to give students an analytical perspective on government and politics in the United States. This course includes both the study of general concepts used to interpret U.S. policies, as well as the analysis of specific examples. It also requires that students become familiar with the various institutions, groups, beliefs and ideas that constitute U.S. politics. A student cannot drop without a consultation with the Principal who will consider extenuating circumstances. All students taking this course will be required to take the A.P. Exam. The AP Psychology course is designed around a variety of assignments that promote acquiring a deep understanding of content, as well as developing study and writing skills necessary to be successful on the advanced placement exam. While preparation for the AP Exam is an important goal of the course, helping students to better understand themselves and the behavior of others is another important aspect of the course. Prerequisite: Teacher or Guidance recommendation. A student cannot drop without a consultation with the Principal who will consider extenuating circumstances. Juniors who have performed at a high level during their sophomore year will examine the same issues as listed in U.S. History (423) as well as review those topics covered in U.S. History I. Primary sources will be used as well as American Literature and works by modern day Americans supports and iconoclasts. Skills in a higher order of thinking and research will be developed in order to prepare the student for the A.P. test given in the spring. Prerequisite: Teacher or Guidance recommendation, A student cannot drop without a consultation with the Principal who will consider extenuating circumstances. STUDENTS WILL PURCHASE THIS BOOK IN CLASS. This is a one semester elective course that introduces the highs and lows of European society over the last century. Course topics will include WWI, WWII, The Holocaust, Cold War Europe, and the development of the European Union. Discussion will include analysis of historical events as well as the European culture during the respective time periods. Students who elect to take the course will gain a wide knowledge base and tools to analyze events of the past, in order to best grasp the movement and changes of our modern world. This class is an introduction to the purpose and functions of the criminal justice system. The course includes descriptions of the police, courts, and corrections on the local, state, and federal levels. The introduction to criminal justice is available to all students who want to understand better the aim of criminal law and how the criminal justice system operates. This course will introduce the issues that cause and affect behavior from a social science perspective. The normal and abnormal psychological development of humans and animals will be followed from birth. Topics covered will include the biological, environmental and cognitive principles as they apply to us as psychological beings. Personality, emotions, learning, stress, addiction, memory, perception, and sensation will all be viewed from a psychological perspective. There is no textbook for this course; students will be required to purchase an assigned reading book each quarter. Honors Psychology will help prepare students interested in a career in the medical or psychological fields. Schools of Psychology, important psychologists, development of human's & animals, and abnormal and social psychology will be highlighted. Personality, sensation, perception, emotions, and behavior modification will be taught with emphasis on historical and contemporary cases. This 1 semester course examines the history of state and non-state terrorism in the 20th and 21stcenturies. Students will study the major terrorist motives, political ideology, nationalism, and religion, the groups associated with them, the tactics they have employed, and the methods that may alleviate terrorism. This is a one-year course taught in the 10th grade year. The course covers the early history of America, beginning with the Pre-Colonial and early Colonial periods. Other areas of study will include the Great Awakening, the pre-revolutionary period, the American Revolution, the Constitution, and the growth of our young nation. The course continues through the Civil War and Reconstruction. This is a one-year course taught in the 11th grade year. The course covers a variety of themes in United States History beginning with a review of Reconstruction. Other areas of study include industrialization, immigration, the Gilded Age, Progressivism, American Imperialism, WWI, the Great Depression, WWII, the Cold War, the 1960’s, and the modern era. This is a one-year course taught in the 9th grade beginning in the 2013-2014 school year. Students will study the rise of the nation state in Europe, the French Revolution and the economic and political roots of the modern world. The course of study also includes the origins and consequences of the Industrial Revolution, 19th century political reform in Western Europe and imperialism in Africa, Asia, and South America. They will explain the causes and consequences of the great military and economic events of the past century, including World War I, the Great Depression, World War II, the Cold War, and the Russian and Chinese revolutions. Finally, students will study the rise of nationalism and the continuing persistence of political, ethnic, and religious conflict in many parts of the world. Honors Level courses are distinguished from Accelerated Level by increased emphasis and expectation in essay and research writing, work with and interpretation of primary sources and the use of document-based-questions for more in depth and nuanced study of the period in question. Placement based upon HSPT. This course will serve to improve student’s vocabulary and grammar knowledge in a progressive fashion so that they can read short passages as well as comprehend and answer simple questions orally and in writing. The preterit, object pronouns and common irregular verbs will be learned. Additional topics in Hispanic culture will be presented. 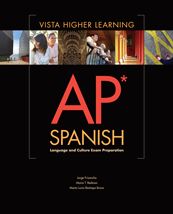 AP Spanish Language is intended for students who wish to develop their language proficiency and utilize their language skills using authentic materials and sources. Students should have already developed an extensive knowledge of both the language and cultures of Spanish -speaking to people and should have attained a reasonable proficiency in using the language. The course will focus on speaking and writing the language at an advanced level. The course will be conducted primarily in Spanish. A student cannot drop without a consultation with the Principal who will consider extenuating circumstances. Prerequisite: Completion of Honors Spanish IV and 90 or above average. Teacher or Guidance Counselor Recommendation. All STUDENTS TAKING THIS COURSE WILL TAKE THE A.P. EXAM. Create an account with your email address and redeem your access code athttps://www.vhlcentral.com/home. Once registered, click on the book cover and select “eBook” under the content menu for instructions to download the App onto your device. Students must also order this workbook that is the hard phyiscal book. This will be shipped to you. It is not an ebook. During the course students will continue developing the basic skill foundation of writing, reading, listening and speaking in a higher level. They will also develop a better understanding of the similarities and differences between cultures and language as they examine the influence of beliefs and values of the target language. During this course emphasis will be placed on pronunciation, basic grammatical structures, vocabulary, culture and basic conversations in a higher level. The course will also offer an elementary approach to listening, reading comprehension and writing. In addition, the integration of the study of language with the study of culture (which includes daily life and history) creates natural links to other disciplines. This course will help students expand their foundation in Accelerated Mandarin I to continue to develop their four skills of listening, speaking, reading and writing. Many of the grammatical constructions introduced in Chinese 1 will be repeated in this course with increasing sophistication in terms of style and usage. While many of the linguistic tasks students will learn to handle are similar to those of first year Chinese, the level of language required to carry out these tasks is more advanced. In this course students are required to comprehend and produce paragraph-level Chinese. Rigorous practice of spoken and written Chinese in complex communicative activities will be conducted. Students will also do intensive reading of expository writings on a variety of cultural or situational topics. This course is for the above average Mandarin speaker who has excelled in first year Mandarin both in the oral and written component. This course is designed to develop student’s practical communication skills (listening, speaking, reading, and writing) in Mandarin Chinese. The knowledge of the Chinese language will be taught through situations: greetings, student life, phone conversation, hobbies…etc. There are a variety of activities which will be applied to this class to help students acquire their Chinese language communicative competence such as games, role plays, cultural studies and group discussion. This level will also establish student’s solid foundation in learning Chinese character writing and character formation. Up-to-date materials and Chinese culture (festivals and customs) will also be integrated into this course. In the third year of Mandarin, students will continue to develop their oral communication skills and to expand their vocabulary ability and paragraph writing with the up-to-date topics relevant to young students in a fun and interesting way. Sentence structures and grammar rules are taught through simple explanations, and reinforced with a variety of practice exercises. Students will study more advanced Chinese grammar, verb conjugations, subject and object pronouns, reference and possession and negatives. Careful pacing leads to gradual progress in language skills, with clearly focused aims for each unit, regular review, and consistent reinforcement. In New Practical Chinese reader, topics continue the development of communication skills, and introduce the customs and culture of contemporary China. In Mandarin Honors III, students will continue to learn the Chinese language and culture through a series of dialogues and narratives, with culture notes, language use, and grammar explanations/ exercises. A task-based teaching approach will be used to intensify students’ motivation and heighten their awareness of the learning objectives in each chapter. This will be a communication-oriented language classroom in which activities will be widely used through interactive exercises to enhance students’ skills in oral and written communication. By building effective learning strategies students will have opportunities to make predictions based on their own experience in the lesson and bring these experiences to an immersion classroom. Through exercises, students will improve their writing skills and eventually write comprehensive essays. In Mandarin Accelerated IV, students will continue to learn the Chinese language and culture through a series of dialogues and narratives, with culture notes, language use, and grammar explanations/ exercises. A task-based teaching approach will be used to intensify students’ motivation and heighten their awareness of the learning objectives in each chapter. This will be a communication-oriented language classroom in which activities will be widely used through interactive exercises to enhance students’ skills in oral and written communication. The Mandarin Honors IV course prepares students to demonstrate their level of Chinese proficiency across the three communicative modes (interpersonal, interpretive, and presentational) and the five goal areas (communication, cultures, connections, comparisons, and communities) as outlined in the Standards for Foreign Language Learning in the 21st Century. Its goal is to provide students with ongoing and varied opportunities to further develop their proficiencies across the full range of language skills within a cultural frame of reference reflective of the richness of Chinese language and culture. This is an introductory course in Spanish and Hispanic culture. The student’s Spanish vocabulary, knowledge of basic sentence formation, listening and writing skills will be developed in a thematic approach around such topics as greetings, clothing, weather, times, colors, numbers and the classroom. Spanish workbook will be purchased in class. Spanish Workbook to be purchased in class. The students will study more advanced vocabulary, idioms and grammar structures. The subjunctive, irregular preterit, present progressive and imperfect will be introduced. Students will write guided paragraphs on various topics and improve reading and conversational skills. Hispanic topics will be given throughout the year. During Spanish IV ACC, emphasis will be placed on pronunciation, basic grammatical structures, vocabulary, culture and basic conversations. The course will also offer a higher level approach to listening, reading comprehension and writing. Major topics will be developed based on the MA Foreign Language Curriculum Frameworks (Communication, Cultures, Connections, Comparisons and Communities.) In addition, the integration of the study of language with the study of culture with be covered. To be purchased in school. The uses and structures of por, para, commands, ser, estar and verb tenses will be studied. Survival vocabulary, speaking and listening skills will be emphasized. Student writing will be descriptive, situation oriented and personalized. Students will read selected stories from readers. Hispanic civilization notes will be given throughout the course. Prerequisite: Teacher or Guidance Counselor Recommendation. The object of the Technology Department is to ensure that students have an understanding of technology’s role in society and develops the skills necessary for them to participate actively and responsibly in that society. Encouraging students to think interactively in a way that combines periods of technological development with wider aspects of society. This college level course emphasizes the design issues that make programs understandable, adaptable, and, when appropriate, reusable. Other areas of study will include the development and analysis of algorithms, data structures and standard algorithms and typical applications. This course is intended to serve as an introductory course for people wishing to pursue a degree in computer science and as a course for people who will major in other disciplines that require significant involvement with technology. The course prepares the students to take the AP Computer Science A exam. Prerequisite: Teacher or Guidance Counselor recommendation. A student cannot drop without a consultation with the Principal who will consider extenuating circumstances. Since 1 out of 5 college students are business majors, it is ideal to introduce all students to one or more aspects of business during their high school years. In addition to general knowledge about business operations, the Business Department strives to open the eyes of its students to many different areas including accounting, economics, finance, hospitality & tourism, management and marketing. Collaboration, research, and ethical conduct are incorporated into all business subjects and contemporary, as well as historic, issues are discussed. To order, call the Cengage customer order department at (800) 354-9706 and follow prompt #1, then prompt #2 and then prompt #1 to reach one of our agents. An elective course in which students will explore the nature of business today including changes affecting business nationally and internationally. This course will expose students to the activities, decisions, problems and successes involved in business and is recommended to students pursuing a degree in any business discipline. Students will pay a $15 user fee to St. Mary’s High School for the eBook (Becoming Money Smart) on the first day of class for a 6-month subscription. Overview of Art department and courses..
Students are offered the opportunity to explore various visual art forms and techniques in an introductory level course through the elements and principles of art and design using a variety of media. The purpose of this course is to foster a broad understanding of the visual arts. 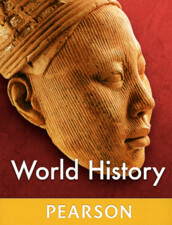 The history and art of past and present world cultures is introduced. Students will create works in a variety of art styles. Semester course. Students are introduced to the various genres in literature. They read, discuss, and analyze short stories, novels, non-fiction, drama, and myths; they learn to appreciate the beauty of language in poetry. Students learn how to use critical thinking skills and academic vocabulary when responding to literature by using specific details to reinforce their responses. Learning Greek and Latin roots and affixes helps them improve their vocabulary understanding as well as usage in writing. Writing a well-crafted essay is the emphasis of the Grade 6 writing and grammar program. Spelling books to be purchased in school. Students learn how a piece of literature is crafted. They analyze author’s purpose and structure throughout the various genres. Vocabulary acquisition remains a key factor in appreciating literature as well as improving writing skills. Composition focuses on the longer essay, particularly analyzing literature and persuasive writing. A working knowledge and use of sentence structure help improve quality writing. Grammar book to purchased in school. Students become acquainted with a wide range of challenging literature from around the world. The use of academic vocabulary in writing and discussion is emphasized. The writing aspect of this course centers on developing and writing a research paper, using both traditional and electronic sources. A comprehensive review of grammar and usage enables students to speak and write on an advanced level. This first level, introduce students to the fundamental ideas of Spanish study. Emphasis will be placed on pronunciation, basic grammatical structures, and vocabulary. The course will also offer an elementary approach to listening, reading comprehension and writing. Students will be offered a variety of tools and techniques to assist them in gaining the necessary basic skills and confidence needed to acquire a foreign language. Teacher will accept payment for book license. This first level, introduce students to the fundamental ideas of Mandarin study. Emphasis will be placed on pronunciation, basic grammatical structures, and vocabulary. The course will also offer an elementary approach to listening, reading comprehension and writing. Students will be offered a variety of tools and techniques to assist them in gaining the necessary basic skills and confidence needed to acquire a foreign language. Students in grade seven are exposed to the Spanish language in this elementary beginner’s course that meets twice a week. Topics covered include greetings, numbers, the calendar, time, weather, family and other basic information. The premise is to introduce the concept of a new language to students and prepare them for further study. After Intro to Mandarin, students will take this class. This class will introduce students to the fundamental ideas of Spanish study. Emphasis will be placed on pronunciation, basic grammatical structures, and vocabulary. The course will also offer an elementary approach to listening, reading comprehension and writing. Students will be offered a variety of tools and techniques to assist them in gaining the necessary basic skills and confidence needed to acquire a foreign language. During the course of Mandarin 8, students will continue developing the basic skill foundation of writing, reading, listening and speaking in Mandarin. They will also develop a better understanding of the similarities and differences between cultures and language as they examine the influence of beliefs and values of the target language. In this course students will learn a combination of rational numbers, patterns, integers and geometry. A preparation for one and two step equations and inequalities. Guided Problem Solving strategies provide the tools needed for the students to be effective and independent learned. Fractions, rational numbers and operations lead to the skills needed for solving algebraic equations. This course has a structured approach. The concepts covered are: ratios, percentages, equations, inequalities, graphing, probability and geometry. Problem solving helps the student prepare for Algebra and standardized testing. This course consists of a solid foundation of Algebra 1. A review of rational numbers, integers, and real number sets allow the student to solve equations, inequalities and make use of functions for the first time. Real world applications allow for more abstract algebraic concepts to be introduced. The sixth grade science curriculum focuses on various aspects of Earth and Space Science. Students will study a variety of topics associated with the dynamic earth. Students will also be introduced to an investigation of the earth’s water as an important natural resource. The exploration will culminate with a detailed study of the solar system and space exploration. The seventh grade science curriculum focuses on various aspects of Life Science. The study of living things will begin with an investigation of the cell and use of the microscope. Students will explore important cellular organelles and their function in the life of the cell. Students will also study the human body as an example of a multicellular organism. The study of living things will culminate in an investigation of the diversity of living things. In conjunction with the STEM program, students will be introduced to the use of technology in science. The eighth grade curriculum focuses on various aspects of Physical Science. The students will begin with an introduction to the study of matter. Students will gain an understanding of the subatomic structure of all matter and study the periodic table. The course of study will continue with an investigation into the properties of sound and light. Students will be introduced to the fundamental concepts of physics associated with matter, forces and energy. In conjunction with the STEM program, students will continue to study the use of technology in science. Design and Modeling (DM) allows students to apply the design process to solve problems and understand the influence of creativity and innovation in their lives. They work in teams to design a playground and furniture, capturing research and ideas in their engineering notebooks. Using Autodesk® design software, students create a virtual image of their designs and produce a portfolio to showcase their innovative solutions. Automation and Robotics (AR) allows students to trace the history, development, and influence of automation and robotics as they learn about mechanical systems, energy transfer, machine automation, and computer control systems. Students use the VEX Robotics® platform to design, build, and program real-world objects such as traffic lights, toll booths, and robotic arms. Here at St. Mary’s, Comprehensive Health and Physical Education has become an important facet of the total education of students. The goal is to build the Health and Physical Education curriculum into a well-rounded program placing emphasis on “wellness”, health, sport and lifelong activities. Staying fit and active is important for growth and development. St. Mary’s Comprehensive Health and Physical Education Department will offer programs which provide students with opportunities to participate in a variety of team, sport, dance, life-time and health-related fitness activities. These programs provided will be set in an educational setting where students are permitted to participate at a level of competition appropriate to their needs and interests and are evaluated in their degree of participation. This course will provide students an opportunity to develop an understanding of health concepts, behaviors, and skills that reduce health risks and enhance the health and well-being of self and others, to set personal health goals, and to evaluate health information, products, services, and the effects of health behaviors on the community. Topics of exploration include but are not limited to: the health triangle, personal safety, personal fitness, the prevention and control of communicable and non-communicable diseases, the development of healthy relationships, communication skills, medication and substance abuse. Personal Health emphasizes the importance of knowledge, attitudes, and practices relating to personal health and wellness. It is a course designed to expose students to a broad range of issues and information relating to the various aspects of personal health, which include the physical, social, emotional, intellectual, spiritual and environmental aspects. Topics of exploration include, but are not limited to: nutrition, physical fitness, schools against violence in education, child abuse and neglect recognition and reporting, stress, and weight management. Students will use LEGO® Education WeDo. LEGO WeDo is an imaginary, simple-to-use tool that enables students to learn, construct and then bring their models to life. Improving communication, collaboration and team building skills. Into to Tech is an introduction to Google Android App Inventor allowing students to create simple applications for the Android smart phone/tablet while learning the beginnings of program coding. Students will learn to design, write, and produce a middle school yearbook and newspaper while developing a rich vocabulary. Analyzing objective and subjective points of view will strengthen their ethical and critical thinking skills. In this course students will be oriented to a religion class setting, which involves prayers, activities, Mass and the celebration of the Sacraments. Students will live and hope in the Good News of Jesus Christ! This course guides students on their journey of discipleship as they learn, celebrate, choose, pray, share, and live the Good News of Jesus Christ. This course centers on Jesus’ life, His teachings, and the Sacraments He instituted. It presents Jesus’ call to each of us to become His disciple and the ways in which His teachings, His Sacraments, and His Church nourish us for discipleship. In this course students will grow as Jesus’ disciples and members of the Church by: gathering, believing and responding. This course presents the Church, from Her beginning at the Pentecost event through Her history, encompassing Her teachings and Tradition. It presents the mission of the Church, entrusted to Her by Jesus, as the responsibility of all baptized Catholics. Ancient Civilizations is a one year course taught in the 6th grade. The course begins with a review of basic geographic terminology and map skills. The course continues with foundations of government, political systems, citizenship, and basic economics. The course continues to look at various cultures, religions, science and technology. The fundamental social studies skills and concepts are a good introduction to ancient world civilizations. The course focuses on several civilizations including the Ancient Far East, Ancient Egypt and Nubia, Judaism, Ancient India and China, Ancient Greece, through the Rise and Fall of the Roman Empire, including the spread of Christianity. World Geography is a one-year course taught in the 7th grade. Topics will include the five themes of geography: Location, Place, Region, Movement, and Human-Environmental Interaction. In addition the course will discuss population, culture, and natural resources. The class will also analyze numerous governments, social organizations, and economies. After the fundamentals of geography are established, the class will progress to a broad overview of individual continents and countries. The course is not limited to physical geography, but includes human characteristics and how humans interact within their environments. World Civilizations II is a one year course taught in the 8th grade. Students will study the development of world civilizations after the fall of the Roman Empire. Included areas of study are the histories of the major empires and political entities of this period: the Ottoman Empire, the Chinese dynasties, the Byzantine Empire, and the major pre-Columbian civilizations. Students examine the important political, economic, and religious developments of this period, including the development of Christianity and Islam, the conflicts between them in different parts of the world, and the beginnings of European influence on the Western Hemisphere. Finally, students study the development of democratic, scientific, and secular thought in the major events and developments of European history. The sixth grade art curriculum is designed to introduce students to the Elements of Art, a variety of techniques and media, with an introduction to art history and critique. Individual creativity, neatness and respect for the work of others is encouraged. The seventh grade art curriculum is designed to continue to deepen understanding and apply the Elements of Art and Principles of Design in their own works. In addition, students will continue the development of various art skills and techniques. The sixth grade Spanish curriculum is designed to introduce students to the World Language of Spanish. The seventh grade Spanish curriculum is designed to build upon the concepts learned in Spanish Grade 6.